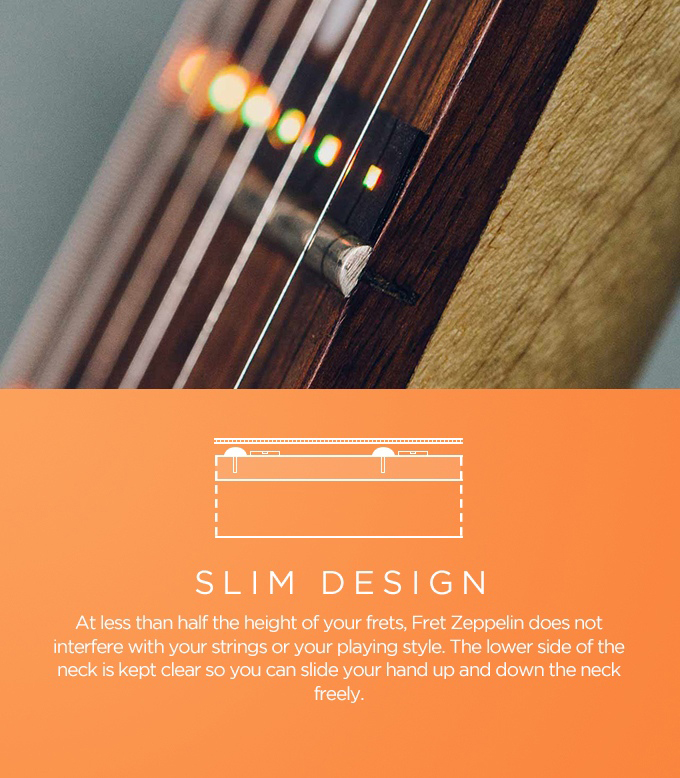 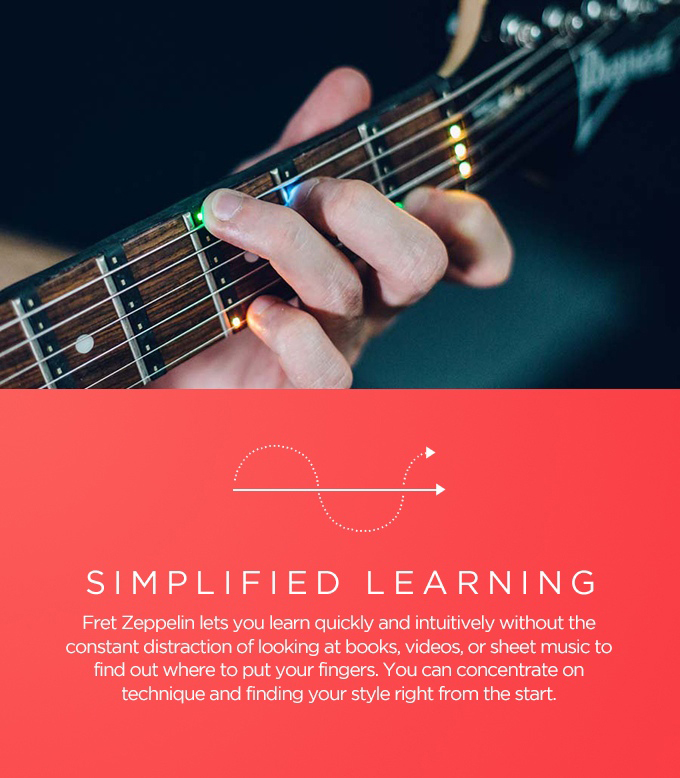 Fret Zeppelin uses a row of removable and non-intrusive LEDs together with a mobile app to teach new and intermediate guitar players. 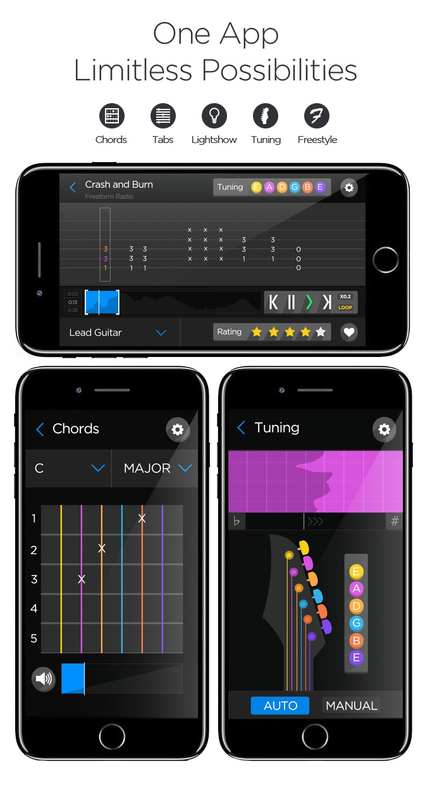 It shows notes, chords, scales and styles. 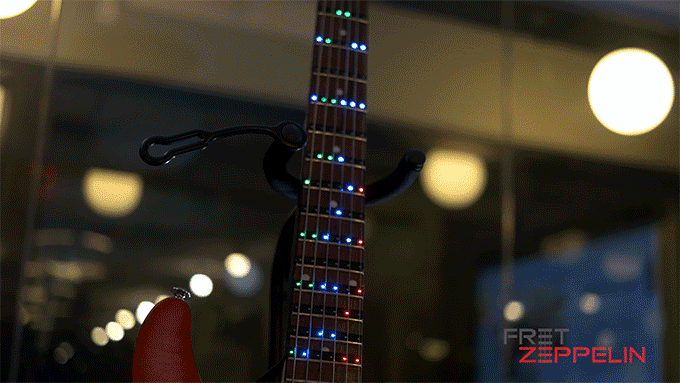 It can also use MIDI files to show the chords for songs and act as decorative lighting.